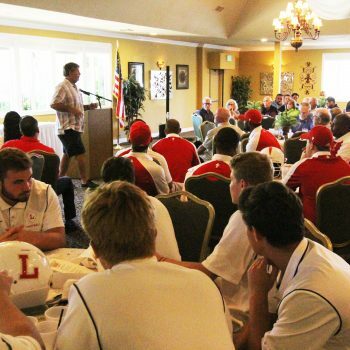 Over the years we have launched July Football Coaches Appreciation Luncheons in area schools. 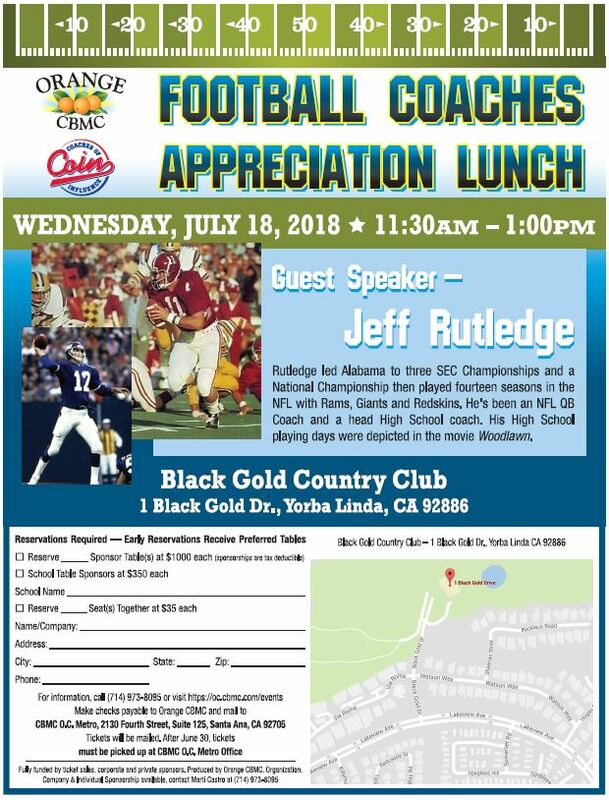 We invite 6 High School football coaches and their senior athletes to fill 20 FREE seats (2 tables of 10) to a location near their schools and they get a “class A” lunch and great speaker to boot. The gospel is shared and the Lord has blessed each time with wonderful fruit. This July we have grown from 1 Luncheon to 4 with the addition of Corona this year. 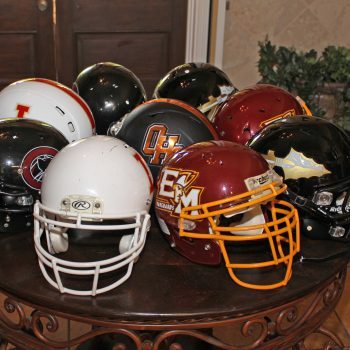 We typically need about $300 per table to sponsor 1 table for a school. 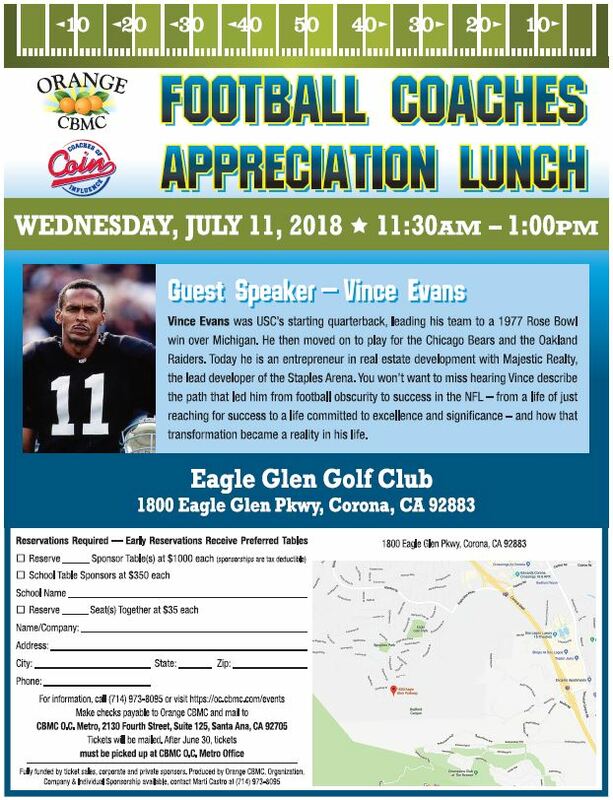 With 6 schools coming and each gets 2 tables, we need to raise about $3600 for each Luncheon (this does not include travel & honorarium costs for the guest speakers). Please pray that people will hear the gospel and respond to the Lord. 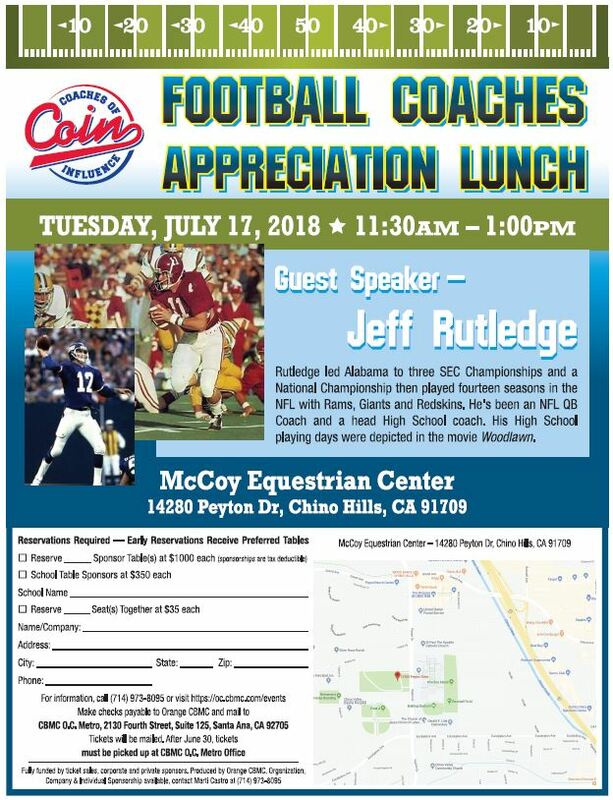 Plan on coming and bringing friends who would like to attend. Individual tickets are $35 a person. 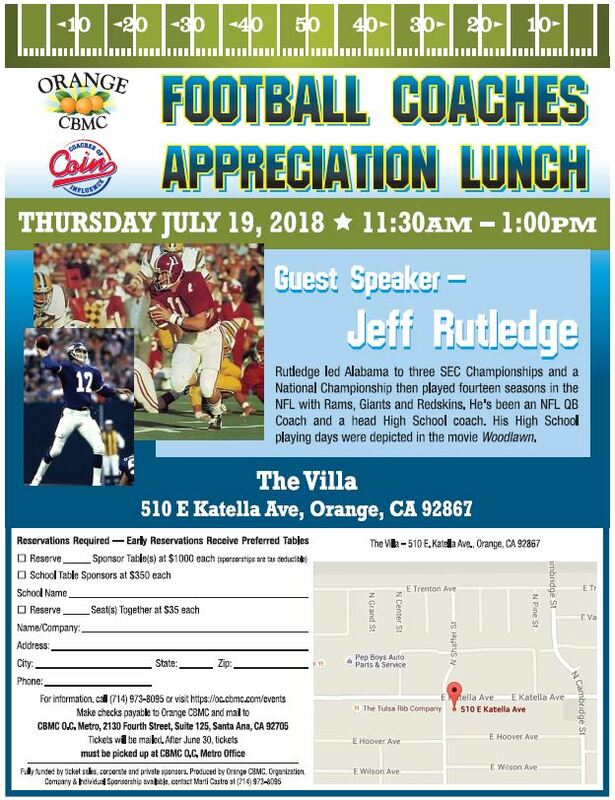 Banquet Sponsorship’s are available for $1000. To donate please click HERE. 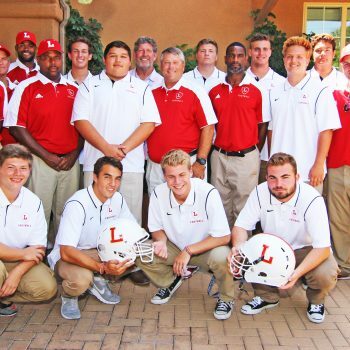 Write “Football Luncheon and location (Chino, Corona, Yorba Linda, Orange) in the note/memo section.